Nona Smiles uses the GALILEOS 3D Cone Beam imaging solution from Sirona. 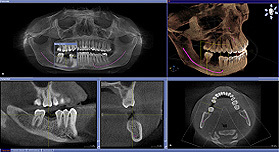 Sirona's technology extends diagnostic X-ray imaging potential for better patient treatment. The visualization tools available in the software assist us with better, more certain diagnosis. They allow our office to coordinate treatment planning with collegues and to explain treatments visually to our patients with greater clarity and accuracy. 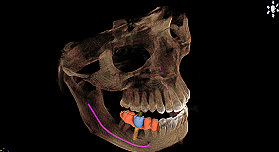 A quick comprehensive scan of the complete oral-maxillofacial area. We want our patients to receive the best dental care possible, that's why we invested in the latest technology in dental diagnosis, the GALILEOS 3D Dental Cone Beam solution.